An infection, trouble digesting certain foods, or too much fruit juice or milk are among the causes. If your child gets it, keep her at home and hydrated. If she's on solids, avoid high-fiber and greasy foods. Call the doctor if she isn't better in 24 hours, is under 6 months old, or has other symptoms, such as a fever of 101 or higher, vomiting, peeing less than usual, fast heart rate, bloody or black stool, or belly pain. Some babies poop several times a day. Others go a few days between bowel movements. Constipation is when stools are hard and painful to pass. 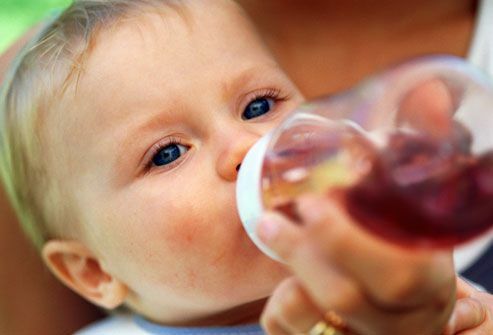 Your doctor may suggest that you add a few extra ounces of water or a bit of prune juice to your child's bottle or sippy cup.The doctor may also tell you to limit dairy intake to less than 16 ounces per day, Call the doctor if the problem continues or your baby has other symptoms, such as belly pain or vomiting. Babies have sensitive skin. Rashes can range from pimples to little white bumps (milia) to red, dry, itchy patches (eczema). 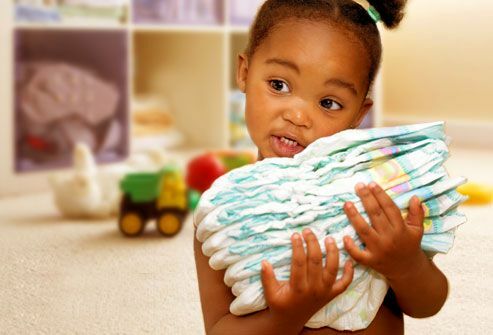 To avoid diaper rash, change diapers often, and apply an ointment for protection. For eczema, skip harsh soaps and keep your child's skin moisturized. Most rashes aren't serious. But call the doctor if the one your baby has is painful or severe, or if he also has a fever or blisters. Listen to how it sounds. A seal-like bark could be croup. Coughs with a mild fever are often from a cold. A higher persistent fever may mean pneumonia or the flu. Wheezing with a cough could be asthma or an infection. 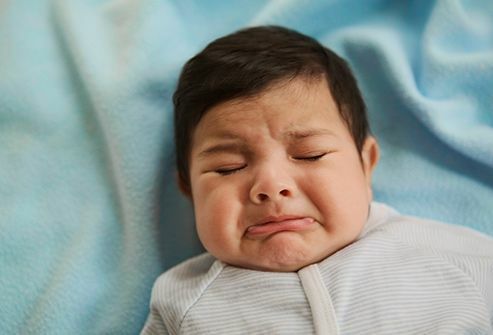 Babies with pertussis have coughing spasms and make a "whooping" sound. 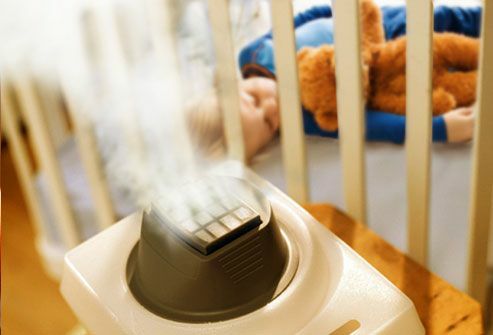 A cool-mist humidifier and fluids can ease the symptoms. Don’t give cough or cold medicines to babies or children younger than 4 years. When your little one has an upset tummy, he may cry a lot, arch his back, and spit up. It can happen because of colic, reflux, trouble with certain foods, an infection, or other reasons. Some tots have problems as they try different foods. Most stomachaches are harmless and brief. But call the doctor if it doesn't improve, or your child vomits, has diarrhea, becomes lethargic, or runs a fever. By the time she’s about 6 months old, tiny teeth will start to poke through her gums. That often makes babies cry a lot! Give her something to chew on. A rubber teething ring that’s BPA-free works well. You can also gently massage your baby’s gums with your finger, or give her something cool to chew on, like a wet, cold washcloth. You can ask your doctor if a pain reliever such as acetaminophen is OK.
It’s normal! To help your baby not be too gassy, feed him slowly and gently burp him often. Take a burp break while feeding and after, too. If you use formula, try not to shake it a lot (to avoid bubbles). Baby’s congested? Don’t use over-the-counter cold medicine in children under 4 years. 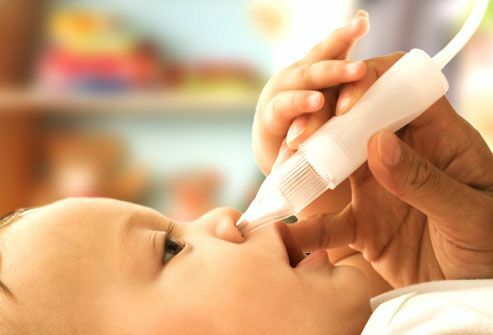 Instead, use saline drops to thin out mucus, and then suction it out of your child's nose with a bulb syringe. A vaporizer machine can help him breathe easier at night. It’s common -- and harmless! -- for babies to spit up a bit after eating. Little kids can get upset tummies, too. Keep yours hydrated. Call the doctor if the vomiting doesn't stop in a few hours, happens in a baby who also has a fever, or if your child can’t keep down fluids. When your baby feels bad, you do, too. Try to stay calm and trust your instincts. Watch for signs that he needs a doctor or emergency medical care. Some warning signs include appetite changes, extreme fussiness, lethargy, breathing problems, rashes, a stiff neck, seizure, a high fever, and a lack of wet diapers.